There’s plenty of video footage of the Savannahlander around the Internet if you check Youtube and other video sharing sites. The Win TV show “Postcards Australia” did a two part story on the Savannahlander in 2009. 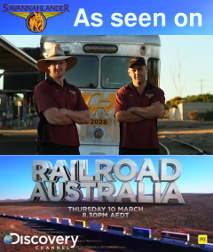 You can find the video on the Postcards Australia web site.